SPRINGFIELD — Illinois lawmakers are looking to phase out a system which allows certain employers to pay disabled persons far less than the statutory minimum wage that applies to all other state workers. Provisions in the federal Fair Labor Standards Act section 14C allow employers to obtain a certificate to hire individuals at less than minimum wage, and advocates say a review of state records shows some certificate holders have paid wages far lower than $1 hourly. 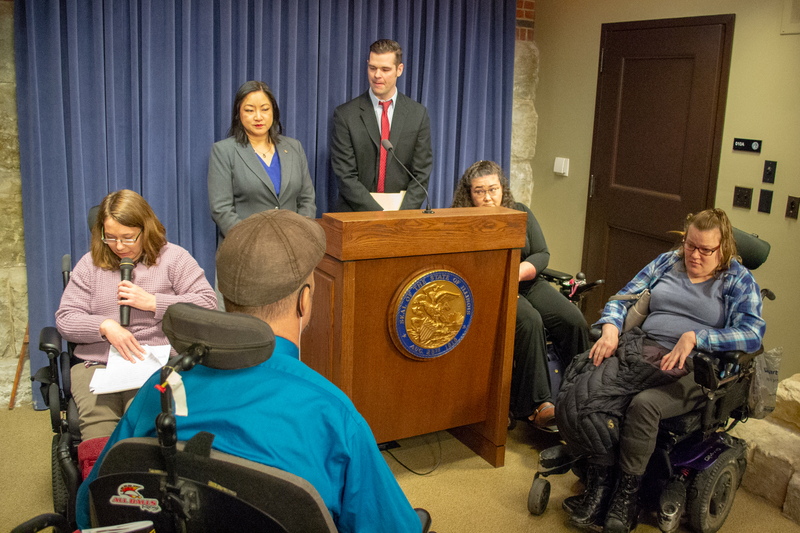 House Bill 3340, called the Illinois Dignity in Pay Act, would call for the state’s Department of Human Services to develop and implement a plan over the next five years to phase out subminimum wage procedures at 14C-licensed sheltered workshops. The bill would call for 1 percent of the Division’s $1.7 billion budget in fiscal year 2020 for a total of $17 million, with one percent added each year until FY 2023, when the funding tops out at $68 million for future budget years.